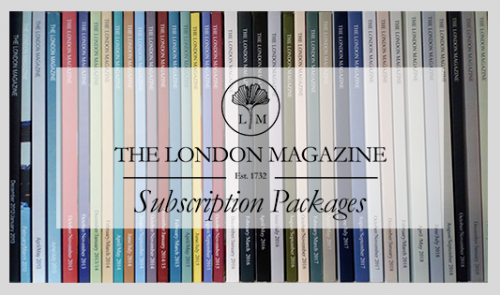 For those with a thirst for the boldest and freshest in Art, Literature & Culture, invest in our classic subscription and enjoy your copy of our bi-monthly print magazine automatically delivered straight to your doorstep in time for the issues official release date. 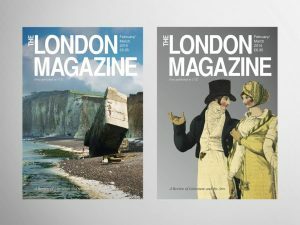 The London Magazine has been home to some of the greatest and most influential writers, and with your classic subscription you will never miss out on our exciting literature. Print issues will automatically be sent on or before the release date of every bi-monthly issue that falls under your subscription term. 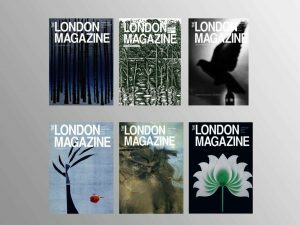 You can cancel your subscription at any point, at which stage we will cease sending you print copies of our latest issue(s). 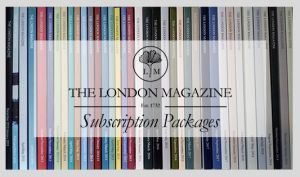 You will be contacted one month prior to your account expiring, where it is your responsibility to renew your subscription, either with another fixed term or alternatively sign up for our automatically recurring Ultimate Subscription. 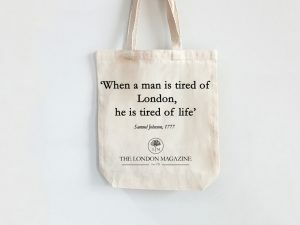 It is your responsibility to update us on subscriptions@thelondonmagazine.org regarding any changes to your account status, delivery address and all other contact details.